~ Visit for more designs. ~ Huge discounts on website prices for quantity orders. ~ Contact us for custom designs, sample development and production. Silver / Gold Coated Stone Studded Anklets An Exclusive gorgeous pair of Silver tone Anklet/Gypsy Boho Payal. This Unique Indian Traditional anklet set can be worn with any kind of dress, belly dance, Party wear & Daily routine. It contains Beautiful Multicolor Stones Work & Hollow Noisy Bells From Rajasthan Indian. An Exclusive gorgeous pair of Silver tone Anklet/Gypsy Boho Payal. It contains Beautiful Multicolor Stones Work & Hollow Noisy Bells From Rajasthan Indian. I'm sure you will get plenty of compliments when you're wearing it. Kundan jewelry with its intricately crafted designs has forever fascinated fashion-enthusiasts globally. The word Kundan means &lsquo;highly refined gold&rsquo;, and as such the quality of gold used to create Kundan jewelry is of high purity. A tribute to Indian ethnicity, Kundan transforms Indian attire and enhances a woman&rsquo;s festive or ceremonial look greatly. summer beach simple elegance fine traditional indian anklets anklet feet indian anklet Item summer beach simple elegance fine traditional indian anklets anklet feet indian anklet No. AD-JL01550 Material alloy Size 20cm Sample Charge Will be back upon your order Shipment By DHL/EMS/UPS/FEDEX PaymentTerm By TT/Western Union/Paypal MOQ 120 pc s Our Advantages 1.Leading company in Jewelry field in China. 2.Around 10 years experience in Jewelry&gifts line. ~ Huge discounts on website prices for quantity orders. ~ Contact us for custom designs, sample production and sample order from our website. ~ If you could not find what you are looking for, we also prepare custom designs for quantity orders. 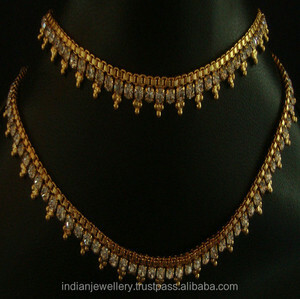 Alibaba.com offers 336 traditional indian anklets products. About 52% of these are body jewelry, 9% are silver jewelry, and 4% are copper alloy jewelry. A wide variety of traditional indian anklets options are available to you, such as anniversary, gift, and engagement. You can also choose from silver, alloy. As well as from pearl, amethyst, and ruby. 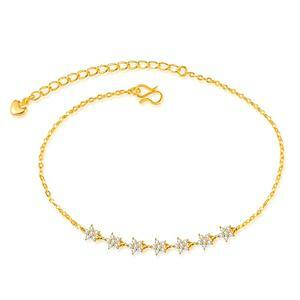 And whether traditional indian anklets is zinc alloy, copper alloy, or 925 sterling silver. There are 245 traditional indian anklets suppliers, mainly located in Asia. 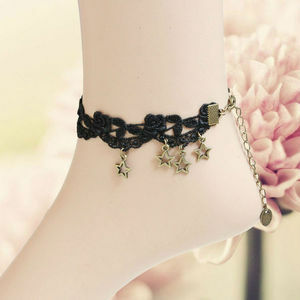 The top supplying countries are India, China (Mainland), and Pakistan, which supply 89%, 8%, and 1% of traditional indian anklets respectively. Traditional indian anklets products are most popular in South Asia, Domestic Market, and Southern Europe. You can ensure product safety by selecting from certified suppliers, including 21 with Other, 9 with ISO9001 certification.